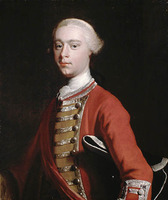 WHITMORE, EDWARD, army officer, governor of Cape Breton Island and the Island of St John (Prince Edward Island); b. c. 1694, apparently the son of Captain Arthur Whitmore of York, whose will refers to a son Edward; d. 1761. Edward Whitmore was commissioned ensign in his father’s regiment, the 36th Foot, on 13 March 1710/11 (o.s. ); he was promoted lieutenant on 1 June 1723; captain, 1 Nov. 1739; major, 2 July 1747; and lieutenant-colonel, 17 July 1747. On 11 July 1757 he became colonel of the 22nd Foot and was made major-general 19 Feb. 1761. Whitmore served first in the unsuccessful expedition to Quebec in 1711 under Admiral Hovenden Walker*. Between 1712 and 1714 his regiment occupied the fortress of Dunkerque, France. He saw action in Scotland during the Jacobite uprising of 1715, and from 1718 to 1739 he was stationed in Ireland. Upon the outbreak of war with Spain in 1739 his regiment returned to England and the following year was sent to the West Indies to support Admiral Edward Vernon. Whitmore took part in the unsuccessful attack on Cartagena (Colombia) in 1741 before returning to England in 1743. After war with France was declared in 1744 his regiment served in Flanders, garrisoning Ghent at the time of the battle of Fontenoy (1745). During the Jacobite revolt of 1745 he was sent to Scotland where he fought at Falkirk (1746) and Culloden (1746). The year 1757 found him in North America commanding the 22nd regiment in Lord Charles Hay’s brigade at Halifax, Nova Scotia. The following summer Whitmore, Wolfe, and Lawrence were made local brigadiers in preparation for an attack on Louisbourg. Whitmore commanded the right wing, directed against Pointe Blanche (White Point), when the British landed at the French stronghold in June. During the siege he was in charge of the troops laboriously preparing batteries to destroy the fortifications. Wolfe thought little of him, calling him “a poor, old, sleepy man,” but Whitmore’s efforts, along with those of the other senior commanders, were altogether successful. 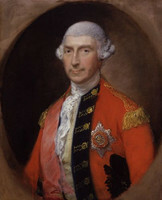 After the capitulation of the fortress, Whitmore was made governor of Cape Breton and the Island of St John with a garrison composed of his own regiment and the 28th, 40th, and 45th Foot. As governor he was responsible for the orderly evacuation to Great Britain and France of the French troops and population in 1758, the support of the expedition to Quebec in 1759, and the demolition of the Louisbourg fortifications in 1760. He served without complaint in this rather unimportant position, while his fellow officers, both younger and junior, covered themselves with glory in great victories elsewhere in North America and the West Indies. He took leave in December 1761 for the recovery of his health only after being ordered to do so by his commander, Jeffery Amherst*. On his passage from Louisbourg to Boston on 11 Dec. 1761 he was swept overboard and drowned. He was buried in King’s Chapel, Boston. His loss was genuinely felt by his fellow officers. Montagu Wilmot wrote: “Those who had the honour to serve under him will have reason to Lament his Loss, the sole Endeavour of this truly amiable Person was to contribute to the happiness of others, even at the risque of his own Disquiet,” an opinion which Amherst, who called him “a worthy Good Man,” fully shared. Whitmore was survived by a son Edward, who in 1762 was granted power to administer his will, and by a daughter, the wife of a Captain Scott of Greenwich. PRO, CO 5/53, ff.172–74; 5/213, ff.151–54; Ind. 5431, p.180; 5436, pp.98–99; WO 4/21, 35; 34/17, Amherst to Whitmore, 11 Oct. 1761; Wilmot to Amherst, 13 Dec. 1761; Amherst to Wilmot, 23 Dec. 1761. Gentleman’s Magazine, 1767, 525. C. H. S. Sackville, The manuscripts of Mrs Stopford Sackville of Drayton House, Northamptonshire (Historical Manuscripts Commission, Reports, 9, pt.iii, London, 1884), 76. Dalton, George the first’s army, I, 365; II, 415. Herald and Genealogist (London), VI (1871), 682. Julian Gwyn, “WHITMORE, EDWARD,” in Dictionary of Canadian Biography, vol. 3, University of Toronto/Université Laval, 2003–, accessed April 20, 2019, http://www.biographi.ca/en/bio/whitmore_edward_3E.html.